On 15 December, the leaders of the EU27 set out the procedural arrangements for the Brexit withdrawal negotiations when the UK invokes Article 50 of the Lisbon Treaty, and reiterated their agreement that continued access to the Single Market will require acceptance of all four freedoms, including freedom of movement. The Council is set to take control of the negotiations, with the Commission, in the form of Michel Barnier, as its agent. It will adopt guidelines that will frame the negotiations and fix the substance and arrangements of the talks through negotiating directives. The Council’s guidelines will continually inform the process, altering the negotiating directives when necessary, and the representatives of the Council and the Member State holding the rotating presidency will be present during the negotiations. With the Council planning to keep a firm hand on the negotiations, the Parliament will be kept at arm’s length from the negotiations, leading to the Parliament’s Brexit negotiator, Guy Verhofstadt, threatening to conduct separate negotiations with the British government. 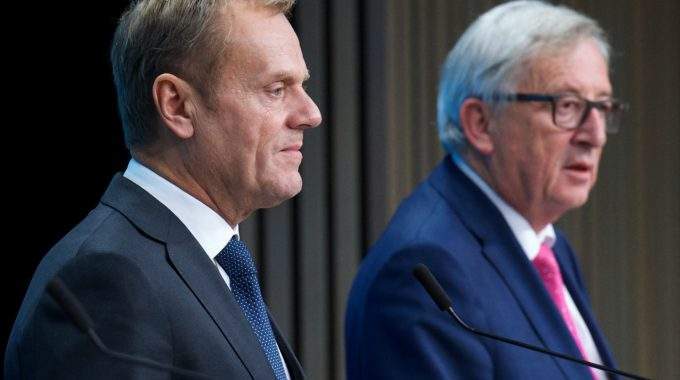 Parliament President, Martin Schulz, added to this by writing to the Council threatening “grave consequences” if the Parliament was excluded from the negotiations, and reiterated Verhofstadt’s threat to conduct secondary negotiations. Both Verhofstadt and Schulz made it clear that the Parliament should be involved in the process from the outset. It is, however, still not certain when the UK will trigger Article 50 or what the UK’s demands will be. The Supreme Court is due in January to rule on the government’s challenge to the High Court ruling that Parliament alone, and not the government, could take Britain out of the EU. Meanwhile, the UK’s Prime Minister, Theresa May, has given a strong indication that the UK will prioritise an end to free movement over access to the Single Market, though this is facing a separate High Court challenge as a group of UK, EU and EEA nationals are seeking a legal ruling that Article 127 of the EEA Agreement requires the UK give 12 months’ notice before leaving the EEA. The Prime Minister has made clear she is not interested in bits of EU membership, and stressed that the UK is leaving the EU and that it would have control of its borders and laws.